Are your teeth looking a little more yellow than they used to? Did you know that your tooth enamel actually has pores that will hold stains? With all the coffee, tea, soda, wine, and cigarettes that a lot of us put into our mouths on a daily basis, it’s no wonder teeth whitening has become so popular. While you can do this at home, professional teeth whitening in Los Angeles is more common. Also, the over-the-counter products are not as strong as the ones a dentist can get for you and are full of preservatives. The best thing to do is get a professional teeth whitening service done. Even if you prefer to do this at home, Los Angeles dentists offer take-home kits with dentist-strength whitening gel and custom fitted mouthpieces. During a professional teeth whitening service in Los Angeles, a dentist will use a gel or paste, sometimes along with an LED light or a Laser, to lift the stains and discolorations out of the enamel of your teeth. The service is fast – about an hour is average, and in some cases as fast as 15 minutes. Your dentist can do a simple tooth whitening service, which will lighten them to their natural color. Since most people’s teeth are not naturally pure white, often people choose to get a professional teeth bleaching service. These services whiten the teeth to a pure white, often much whiter than they ever would be naturally. Getting your teeth looking their best has never been easier than it is now in the 21st century. Teeth Whitening is by far the most popular cosmetic dental service performed in today’s society. Being such a big metropolis, it can be hard to choose where to go for a professional teeth whitening service in Los Angeles. Named below are three of Los Angele’s best dentistry practices, all of which offer some of the best teeth whitening and bleaching services available. If you also want to find an emergency dental clinic in Los Angeles, Click here! At SmileLabs Los Angeles, they will whiten your teeth in just 15 minutes! Their process for teeth whitening is completely safe for your enamel. They have highly trained staff that service greater Los Angeles both at their salon and with their mobile service. After determining the current shade of your teeth they use a finger scrubber that removes the buildup from the surface of your teeth. A Cheek Retractor Insert is then inserted into your mouth to keep it open for the LED light that is needed to complete the process. After putting whitening gel on your teeth with a brush, your SmileLab LA dentist will put you in front of a Cool Blue LED Accelerator Light for 15 minutes. That’s it, you’re done! Don’t forget to use their at-home tooth-whitening products as recommended. Dentist: Dr. Meir Agaki, D.D.S. At Dr. Agaki’s dental practice, he uses the latest enhanced microscope techniques, enabling him to see 200 to 400 times more than the average dentist. His practice uses the Zoom Advanced Power Whitening Process, which can get your teeth their whitest in under one hour. The Zoom system bleaches your teeth by using a special whitening laser and a hydrogen-peroxide based gel. The gel is applied to your teeth, and heated with the special Whitening Laser. The heat from the laser activates the gel, penetrating the surface of your teeth. This lifts the stains from your teeth, and is so powerful that your teeth will be from six to ten shades lighter after your first session. Be sure to print the discount coupon from their website and bring it with you to your first visit. Dentist: Dr. Krikor Derbabian, D.D.S; Dr, Winston Chee, D.D.S. ; Dr. Loris Abedi, D.D.S. – Opalescense Xtra Boost Whitening,*Brite Smile Whitening, and*Take Home Tray Whitening. – Opalescense Xtra Boost Whitening requires no heat or UV Rays to activate the product. 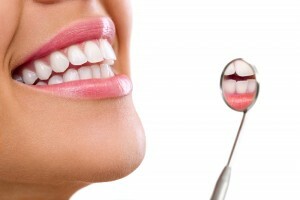 Your dentist at Los Angeles Dentistry will simply put the product on your teeth and let it set for about an hour. Your teeth will be noticeably whiter before you leave the office. For the first few days after you have this procedure you will need to follow an at-home care system to finish the process and get your teeth their whitest. Brite Smile Whitening is the newest trend in teeth whitening and bleaching. It’s state-of-the art product will have your teeth up to 12 shades whiter by the time you leave the office, which will be about an hour after arriving. It is being called the ‘tooth whitening remedy of the future’.Take Home Tray Whitening is perfect if you are more comfortable doing your tooth bleaching at home. Trays are fabricated to specifically fit your teeth. You bring them, along with the special whitening product, home and use them whenever it’s convenient for you. After a few days your teeth will be their whitest. After you have chosen a dentist and had your first whitening appointment, you are going to want your teeth to stay that way. To achieve this, remember that whitening and bleaching your teeth is not a one-time thing. It should be done about once a year, your dentist can recommend how long the service you just got done will last. Regular brushing with a whitening toothpaste cannot be compensated for, and without it your new smile won’t last nearly as long as your dentist expects it to. Take care of your smile! Click here to find the best dental implant dentists in Los Angeles.